AWAKENING PEOPLES ACTION FOR RURAL DEVELOPMENT is located in Kurnool Andhra Pradesh . AWAKENING PEOPLES ACTION FOR RURAL DEVELOPMENT is registered as a Society at Kurnool of state Andhra Pradesh with Ngo unique registration ID 'AP/2010/0027105' . 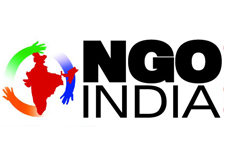 The NGO registration is done by Registrar of Societies with registration number 414 of 2000 on the date of 27-03-2000, Its parent ORganaisation is PaulFoundation. The Chairman of AWAKENING PEOPLES ACTION FOR RURAL DEVELOPMENT is G Thirupathi Reddy and Chief functionary officer is G Thirupathi Reddy. Promoters are K Sunitha, M Snehalatha, V Lakshmi Devi,G Srikanth Reddy. NRM, Major, Medium, Minor Lift Irrigation, WUA Capacity building, Watershed development, Livelihoods, Women empowerment, Productivity enhancement, Agri Biotech, Seed Village concept etc.